Complaint case - Preliminary evidence recorded by Magistrate - Magistrate to summon the accused for trial if prima facie case was made out - He cannot dismiss the complaint by making microscopic scrutiny of evidence at that stage. For the Petitioner :- Ms. Saloni Sharma, Advocate. For the Complainants :- Mr. J.B.S. Gill, Advocate. M.L. Singhal, J. - Shingara Singh filed complaint against Joginder Singh and others under Sections 307/323/324/452/427/382/392/397/148 read with Section 149 Indian Penal Code in the Court of Chief Judicial Magistrate, Hoshiarpur in the year 1993 (Criminal complaint case No. 73 of 1993). Complaint was dismissed on 4.12.1993 by Judicial Magistrate First Class, Hoshiarpur without summoning Joginder Singh etc., under Section 203 Cr.P.C. by Judicial Magistrate, Ist Class, Hoshiarpur vide order Annexure P/1. 2. Shingara Singh went in revision to the Court of Session (namely Crl. Rev. No. 36 of the 1993) against that order dated 4.12.1993 of Judicial Magistrate First Class, Hoshiarpur. Additional Sessions Judge vide order dated 10.9.94 Annexure P/2 accepted the revision and sent the case back to the Chief Judicial Magistrate for making further inquiry after summoning of the accused as provided under Section 398 Cr.P.C. 3. Chief Judicial Magistrate, Hoshiarpur vide order Annexure P/3 dated 20.1.1995 dismissed the complaint finding that no case was made out to summon the accused. It was observed that complaint seems to have been filed to harass the accused with some ulterior motive. Not satisfied with this order passed by the Chief Judicial Magistrate, Hoshiarpur dated 20.1.1955, Shingara Singh has come up in Revision No. 211 of 1995 to this Court. He has prayed that order annexure P/3 dated 20.1.1995 passed by Chief Judicial Magistrate, Hoshiarpur be set aside and the accused respondents be summoned to face trial. There was another complaint filed by Jaimal Singh (who is one of the accused in aforesaid complaint) against Shingara Singh and others under Sections 323/324/325/326/452 read with Section 34 Indian Penal Code in the Court of Judicial Magistrate First Class, Hoshiarpur. Vide order dated 16.10.1995, Judicial Magistrate First Class, Hoshiarpur ordered Shingara Singh to be charged under Section 324 Indian Penal Code. He ordered Mohan @ Mohni to be charged under Section 323/325 Indian Penal Code, Satpal alias Satti to be charged under Section 325 Indian Penal Code. He ordered that all the accused be also charged under Section 323/324/325 read with Section 34 Indian Penal Code. There is Crl. Misc. No. 21614-M of 1995 filed by Shingara Singh and others whereby they have prayed for the stay of further proceedings in complaint case titled Jaimal Singh v. Shingara Singh etc. pending in the Court of Judicial Magistrate First Class, Hoshiarpur saying that complaint case titled Shingara Singh v. Joginder Singh etc. and complaint case Jaimal Singh v. Shingara Singh etc. are the off-shoot of the same occurrence and both parties sustained injuries, and therefore, both the cases should be decided together and till the disposal of Criminal Revision No. 211 of 1995, further proceedings in the complaint case Jaimal Singh v. Shingara Singh etc. in the Court at Judicial Magistrate Ist Class, Hoshiarpur be stayed. 4. Shingara Singh instituted complaint against Joginder Singh and others under Sections 307/323/324/452/427/382/392/397/148/149 IPC (complaint case No. 73/1993). In this complaint, preliminary evidence was recorded. Shri Harsh Mehta, Judicial Magistrate Ist Class, Hoshiarpur dismissed this complaint vide order dated 4.12.1993 Annexure A/1. Shingara Singh went in revision against the order dated 4.12.1993, passed by Harsh Mehta, Judicial Magistrate, Ist class, Hoshiarpur in the said complaint, to the Court of Sessions. Sh. M.M. Bhalla, Additional Sessions Judge, Hoshiarpur accepted revision vide order dated 10.9.1994, Annexure P/2, remanding the case back to the Chief Judicial Magistrate, Hoshiarpur for making further enquiry after summoning the accused as provided under Section 392 Cr.P.C. He directed the complainant to appear before the Chief Judicial Magistrate, Hoshiarpur on 4.10.1994. On 10.11.94, the complainant did not appear before the trial Court, and consequently, the complaint dated 21.7.1993 was dismissed for want of prosecution vide order Annexure R/1. Shingara Singh instituted fresh complaint against Joginder Singh etc. under Sections 307, 323, 324, 452, 427, 382, 392, 148/149 I.P.C. on 14.11.1994 on the same cause of action in the Court of Chief Judicial Magistrate, Hoshiarpur. The complaint instituted on 14.11.1994 was dismissed after recording preliminary evidence by the Chief Judicial Magistrate, Hoshiarpur vide order dated 20.1.1995-Annexure P/3. This order Annexured P/3 dated 20.1.1995 is subject matter of challenge in this Criminal Revision. 5. While challenging order Annexure P/3, learned counsel for the petitioner submitted that at the stage when the Chief Judicial Magistrate, Hoshiarpur proceeded to consider the preliminary evidence produced by the complainant for determining whether there was sufficient ground for proceeding further with the complaint, he will see only this much whether prima facie case for the issue of process has been made out. After the preliminary enquiry he is to satisfy himself simply whether prima facie case has been made out so as to put the proposed accused on regular trial. 6. In Mohinder Singh v. Gulwant Singh and others, AIR 1992 SC 1894, the Hon'ble Supreme Court observed that during the course of enquiry under Section 202 of the Code, the Enquiry Officer has to satisfy himself simply on the evidence adduced by the prosecution whether prima facie case has been made out so as to put the proposed accused on a regular trial and no detailed enquiry is called for during the course of such enquiry. It was further observed that at the stage of enquiry under Section 202 Cr.P.C. for arriving at whether prima facie case has been made out so as to put the proposed accused on regular trial, the Court is not to go into the question of sufficiency of evidence for conviction. Magistrate can dismiss the complaint after recording preliminary evidence, only if he is of the opinion that there is no sufficient ground for proceeding with the complaint. Impugned order passed by the learned Chief Judicial Magistrate, Hoshiarpur (Annexure P/3) does not conduce to the provisions of Sections 202, 203 of Cr.P.C. 7. Use of words "sufficient grounds for proceeding" in this section is indicative of the intention of the legislature. The word 'sufficient ground' means when prima facie case is made out against the person/accused by the evidence of the witnesses which is entitled to reasonable degree of credit. "Sufficient ground for proceeding" does not mean sufficient ground for conviction. While passing the impugned order Annexure P/3, the Chief Judicial Magistrate, Hoshiarpur fell into microscopic appreciation of the preliminary evidence produced by Shingara Singh in support of the allegations of the complaint. Microscopic scrutiny of the evidence at that stage was not warranted. In the preliminary evidence, Shingara Singh put himself in the witness box. Besides this, he put Labha, Tarsem Kaur, Parkash Kaur, Amarjit Kaur, Dr. Anil Bassi, and Dr. Sukhjit Singh Bains and constable Iqbal Singh, H.C. Uma Kant etc. P.Ws. 8. In my opinion, the dismissal of the complaint by the Chief Judicial Magistrate, Hoshiarpur vide order dated 20.1.1995 was not warranted. 9. Faced with this situation, learned counsel for the respondents submitted that if the first complaint had been dismissed for want of prosecution by the Chief Judicial Magistrate, Hoshiarpur on 10.11.1994, Second complaint was not competent on the same cause of action. In support of his submission, he drew my attention to Jamshed v. Sultan, 1987(1) RCR(Crl.) 423 : 1987 CC Cases 332 where it was held that where the earlier complaint under Section 494 IPC was dismissed, the second complaint on the same facts and by the same person was not maintainable. 10. In Bindeshwari Prasad Singh v. Kali Singh, 1976 CAR 214 it was observed by the Hon'ble Supreme Court that where the complaint was dismissed under section 203 Cr.P.C. on the ground that the complainant was absent and did not show any interest in the enquiry, the magistrate will become functus officio with the dismissal of the complaint and has no power to review and recall the order passed by him. 11. In Ranjit Singh v. Pritam Singh, 1991(3) RCR 70, it was held that where in case of summoning of the accused under Section 498-A and 406 IPC and the complaint was dismissed for non-appearance, second complaint on the same facts would not be maintainable. The complainant could file revision against the dismissal of the complaint. 12. Learned counsel for the petitioner on the other hand submitted that complaint could not have been dismissed for want of prosecution as this complaint was made under Sections 307/323/324/452/427/382/392/397/148/149 IPC. It was a written case instituted on complaint. Section 249 Cr.P.C. lays down that when the proceedings have been instituted upon a complaint and on any day fixed for the hearing of the case, the complainant is absent and the offence may be lawfully compounded, or is not a cognizable offence, the Magistrate may, in his discretion, notwithstanding anything hereinbefore contained at any time, before the charge has been framed, discharge the accused. Section 249 Cr.P.C. 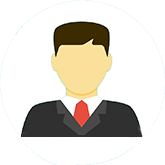 lays down that the Magistrate can discharge the accused on account of absence of the complainant, after the accused has appeared and that too if the offence is compoundable. 13. In this case, the complaint could not have been dismissed for want of prosecution because of the obvious bar created by Section 249 Cr.P.C. According to Shingara Singh, it was a case of version and cross version. In the occurrence, both the parties were injured. 14. In view of what I have stated above, impugned order dated 20.1.1995 passed by the Chief Judicial Magistrate, Hoshiarpur is set aside and Chief Judicial Magistrate, Hoshiarpur is directed to summon the accused Joginder Singh etc. and proceed further thereafter in accordance with law. 15. With the revival of the complaint titled as Shingara Singh v. Joginder Singh and others, Chief Judicial Magistrate, Hoshiarpur is directed to dispose of the same in accordance with law together with the complaint titled Jaimal Singh v. Shingara Singh etc. 16. Revision thus stands accepted. 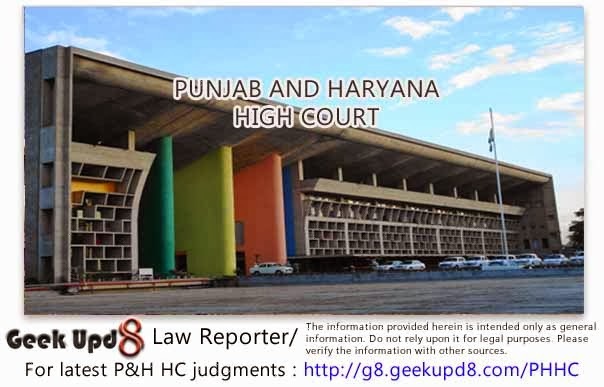 Geek Upd8 - Law Reporter: Complaint case - Preliminary evidence recorded by Magistrate - Magistrate to summon the accused for trial if prima facie case was made out - He cannot dismiss the complaint by making microscopic scrutiny of evidence at that stage.